Adventure, mystery and nostalgia in a gripping story about the power of human knowledge. 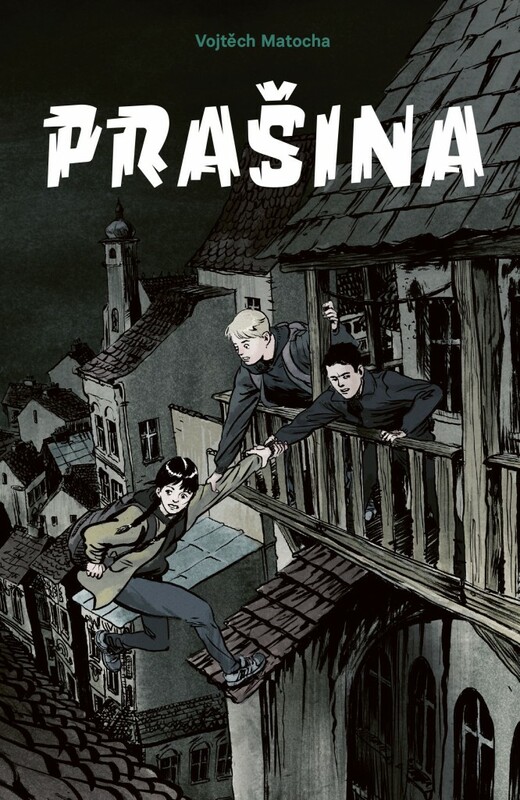 Prašina is a mysterious, frightening neighbourhood in the middle of modern day Prague, the only place where electricity doesn’t work and no one knows why. One day it starts to expand and slowly swallows up other parts of Prague, shrouding them in darkness. There, Jirka and his friends discover a secret that can change the world. However, they are not alone. In the unlit winding lanes of Prašina they have to face dangerous opponents led by an unscrupulous businessman. What started as an adventure quickly changes into a race to save Prague and possibly the whole world from impeding darkness. Matocha mixes thriller and sci-fi in order to emphasize the impact that all kinds of inventions have on humans. In his debut, books do not compete against cell phones, as both can expand human knowledge. A thrilling story for older middle-grade readers with illustrations by Karel Osoha, evoking a noir atmosphere. Vojtěch Matocha (b. 1989) is a prose writer. He graduated in mathematics and now develops mobile phone apps. As a secondary school student he successfully took part in a number of literary competitions for aspiring authors. He writes reviews for the iLiteratura website. Prašina (2018) is his literary debut.